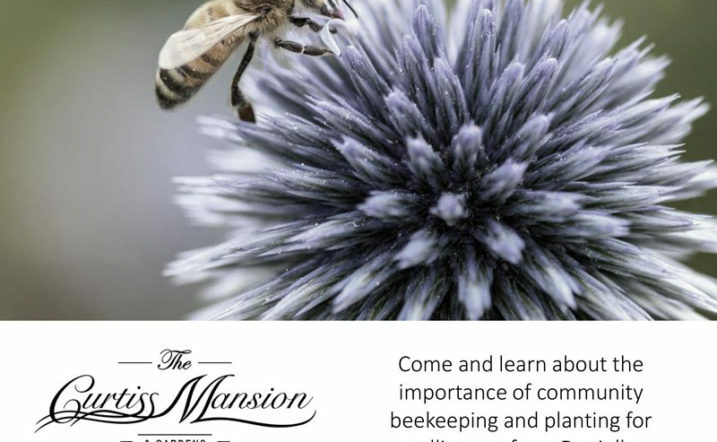 Guest speaker Danielle Bender will be discussing the importance of community beekeeping and planting for pollinators on the Curtiss Mansion. Danielle is a Local Beekeeper and Arts Organizer. The lecture includes a honey tasting and a chance to see bees up close in action inside an observation frame! Currently based in Miami Springs, Bender was awarded an Emerging Cities Champion Fellowship through the Knight Foundation and 8 80 Cities, and is a Miami Foundation 2017 Public Space Challenge winner. Public Hives (her award-winning project) promotes community pollinators by placing beehives in neighborhoods and parks in Miami. She has helped to create greater access to educational opportunities, and inspired community members to learn alongside one another while observing and learning from other communities: bees!